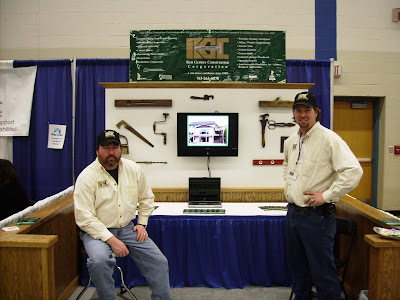 Ken Geroux Construction Corporation thanks everyone who saw us at the 2009 Big Lake Business Expo. We had a great time in Big Lake last weekend. What really makes us proud is to hear the stories from our customers about their projects and how they are using the space today. Kids coming to the booth to grab a piece of candy and others wanting to chat about our array of antique tools kept us busy. The community of Big Lake has so many things going on this year as we prepare for the opening of the Northstar Commuter Rail line. All of us are excited. Sometimes you can feel an energy in the air and it was present.